"Iғ ʏᴏᴜ ᴡᴀɴᴛ ʏᴏᴜʀ ᴇɢɢ ʙᴀᴄᴋ ʏᴏᴜ ɢᴏᴛᴛᴀ ᴘᴀʏ ᴜᴘ 123,456 sᴇᴇᴅs. Nᴏ ʀɪᴘ ᴏғғs. Bᴇ ᴀᴛ ᴛʜᴇ Wɪᴛʜᴇʀɪɴɢ Pʟᴀᴄᴇ ʙʏ ᴍᴏᴏɴ ʀɪsᴇ ᴛᴏᴍᴏʀʀᴏᴡ ᴏʀ ᴡᴇ'ʀᴇ sᴄʀᴀᴍʙʟɪɴɢ ᴛʜɪs ғᴏʀ ʙʀᴇᴀᴋғᴀsᴛ.Yᴜᴍ ʏᴜᴍ." Tʜᴇ Bᴏɢɢᴀɴ Qᴜᴇᴇɴ ᴀɴᴅ Kɪɴɢ's ɴᴇᴡʙᴏʀɴ ɪs ᴇɢɢɴᴀᴘᴘᴇᴅ! Iᴛ's ᴜᴘ ᴛᴏ ʏᴏᴜ ᴛᴏ ʜᴇʟᴘ ᴛʜᴇᴍ ᴛʜʀᴏᴜɢʜ ᴛʜᴇ ғᴏʀᴇsᴛ ᴘᴇʀɪʟ ᴛᴏ ɢᴇᴛ ɪᴛ ʙᴀᴄᴋ ʙᴇғᴏʀᴇ ᴛʜᴇɪʀ ʟɪᴛᴛʟᴇ ᴜɴʜᴀᴛᴄʜᴇᴅʟɪɴɢ ʙᴇᴄᴏᴍᴇs ᴀ ᴛᴀsᴛʏ sɴᴀᴄᴋ! Pʟᴀʏ ᴀs Bᴏɢɢᴀɴ Qᴜᴇᴇɴ Mɪʜᴀʀᴜ ᴏʀ Bᴏɢɢᴀɴ Kɪɴɢ Dᴀɢᴅᴀ ᴀɴᴅ sᴡɪᴛᴄʜ ᴏғғ ᴀᴛ ᴀɴʏ ᴛɪᴍᴇ! Gᴀᴛʜᴇʀ ᴛʜᴇ ᴍᴀɢɪᴄ ᴏғ ᴛʜᴇ Rᴏᴛ ᴛᴏ ʜᴇʟᴘ ʏᴏᴜ ᴛʜʀᴏᴜɢʜ ᴏʙsᴛᴀᴄʟᴇs ᴀɴᴅ ɢᴇᴛ ᴀʙɪʟɪᴛɪᴇs ᴛᴏ ᴜɴʟᴏᴄᴋ sᴇᴄʀᴇᴛ ʟᴇᴠᴇʟs ᴀɴᴅ ᴘᴏᴡᴇʀ ᴜᴘs! Fɪɢʜᴛ ʏᴏᴜʀ ᴡᴀʏ ᴛʜʀᴏᴜɢʜ ᴍᴏʀᴇ ᴛʜᴀɴ ᴀ ᴅᴏᴢᴇɴ ᴏғ ғᴏʀᴇsᴛ ᴅᴇɴɪᴢᴇɴs ɪɴᴄʟᴜᴅɪɴɢ ᴛʜᴇ Lᴇᴀғᴍᴇɴ ᴀɴᴅ ʙɪɢ ʙᴏssᴇs! Iᴛ ᴡɪʟʟ ʜᴀᴠᴇ ᴠᴏɪᴄᴇ ᴀᴄᴛɪɴɢ ᴀɴᴅ sᴏᴍᴇ ᴏʀɪɢɪɴᴀʟ ᴀʀᴛ! What software are you utilizing for your action adventure game? 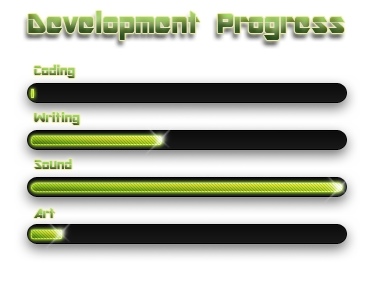 @chaacat wrote: What software are you utilizing for your action adventure game?